Produced by Japan’s San-X label, the affable Rilakkuma bear recently turned 10 years old. Following a number of toys and accessories released in commemoration, Medicom Toy’s latest offering sees the Rilakkuma BE@RBRICK appear on a set of Playing Cards. 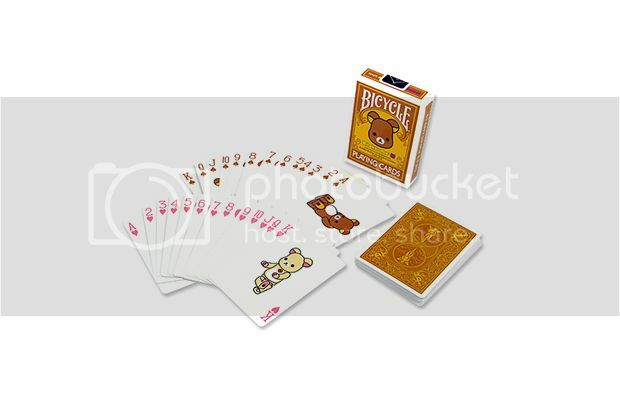 Made with the trademark Rilakkuma bear at its center, the cards feature various BE@RBRICK illustrations at the front and a compelling tarot design at the back. Priced at ¥ 840 JPY (approximately $8 USD), head over to Medicom Toy to purchase.